People love to travel the world for many different reasons, but the one reason that is included in what everybody says when they talk about the places they will be visiting is they are excited to try the food there. The dishes that places make are the things that make one culture distinct from another one, and there is nothing more enjoyable than experiencing what these cultures have to offers. Plus it something that we have to do on a daily basis. If we do not eat we can not live, so why not enjoy it while you have the opportunity. But it is not only restaurants where this experience can be enjoyed. 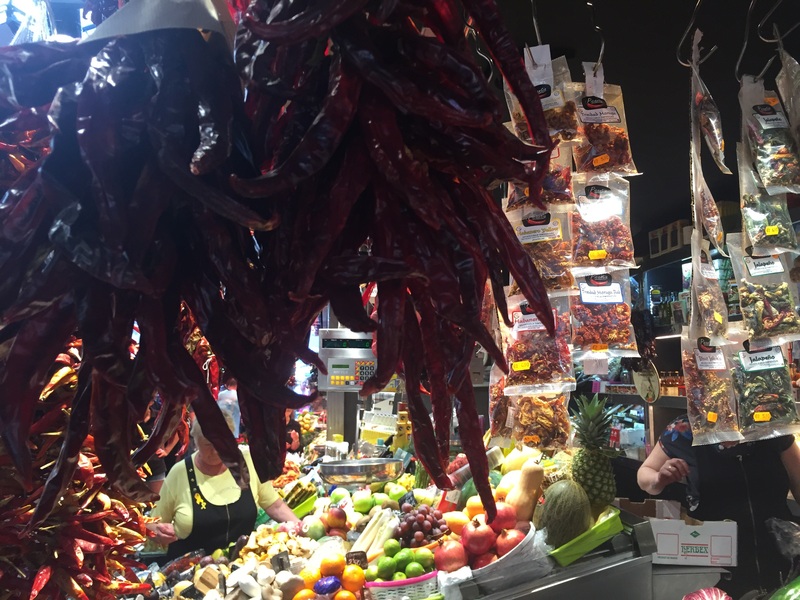 Many places around the world have markets where you can try many different types of food, or get the fresh ingredients that you need to make an amazing meal. 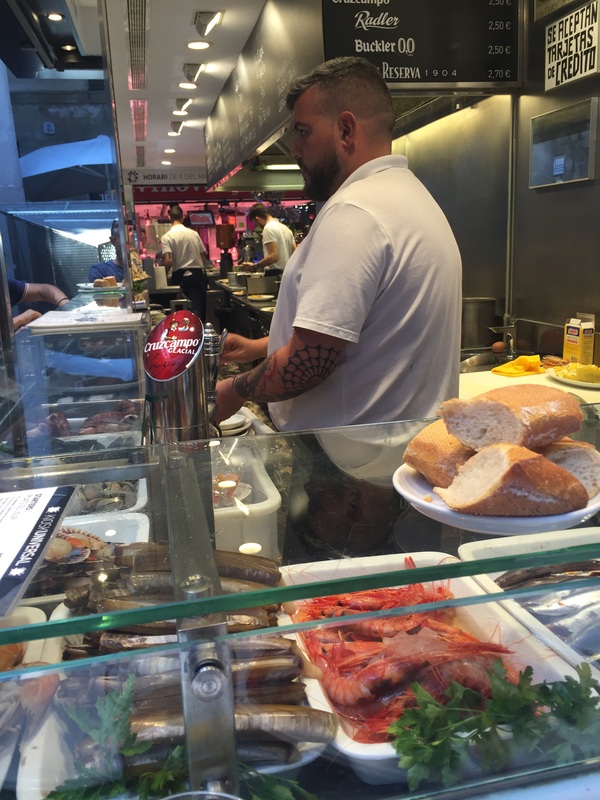 There is a great one right off the Ramblas in Barcelona call the Boqueria. Even if you do not buy any food there, it is still a fun place to visit to see all the city has to offer in fine ingredients. There have been many times on my travels where I have had more fun going to these markets without a clue as to what I was going to make, but finding great ingredients and putting together one of my favorite meals I would have on that trip. It is one of the advantages of staying at a hostel because they usually have a kitchen that you can use. With the inception of Air B+B, this perk has been made available to more people without having to cram into a room with a bunch of strangers. Unfortunately, I have not had the opportunity to make a meal yet, but it has not bothered me much because I am in Spain, the land of the tapas. A tapas bar will serve small portions of food, allowing you to have many different bites along the way. There are some traditional dishes that all bars will include, but it is fun to see the different creative ways a chef can piece together a meal out here. 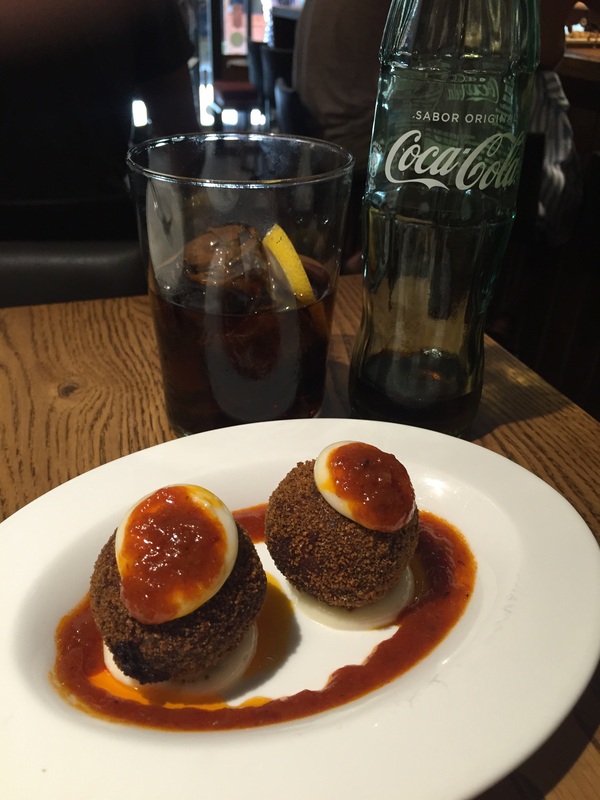 One of the best ones that we were able to experience was called Tapeo. It is a small place next to the Picasso Museum in Barcelona. 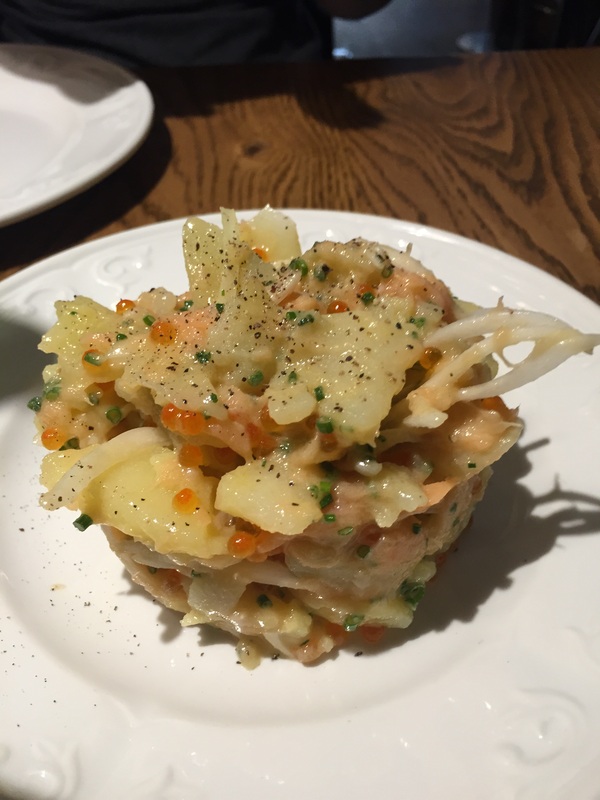 They have many traditional items, but they also blend in some Japanese flavors into their dishes such as this salmon potato dish that included a wasabi sauce that you could sprinkle on the top of the dish. The dish was really amazing, but it was the bombastas they were so good that we kept ordering them right after we had finished eating them. They are a meat a potato ball that is fried so when you bite into them you get an explosion of flavor. It is dishes like this that make me know that I am in Spain and I will only be able to find these flavors in this corner of the world. And of course, if small dishes are not your thing, you can still wander the streets of whatever place you are in until you find the perfect dish that you would want to try. 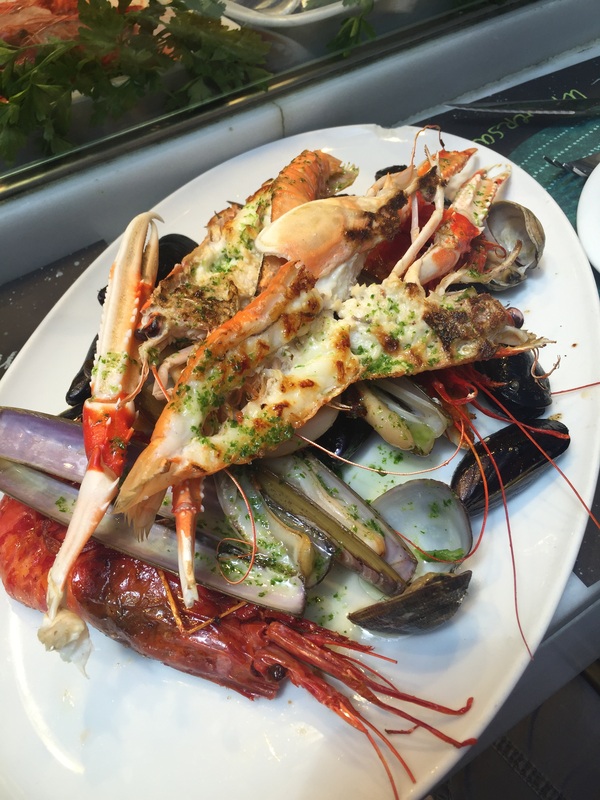 If you are near the coast, try a plate full of fresh seafood. If in the center of a country, enjoy the hearty dishes they have to offer. The point is that wherever you go, make sure you eat, and eat well. It is part of the experience of travel and it makes each voyage even more memorable.